Choose nuts for super healthy banana muffins. But, even with chocolate chips, these get a seal of approval. Whole wheat flour, Greek yogurt and lots of sweet banana make these moist and hard to resist and very healthy. Next time you have two lonely, unwanted, over-ripe bananas sitting on your counter, don’t throw them out. 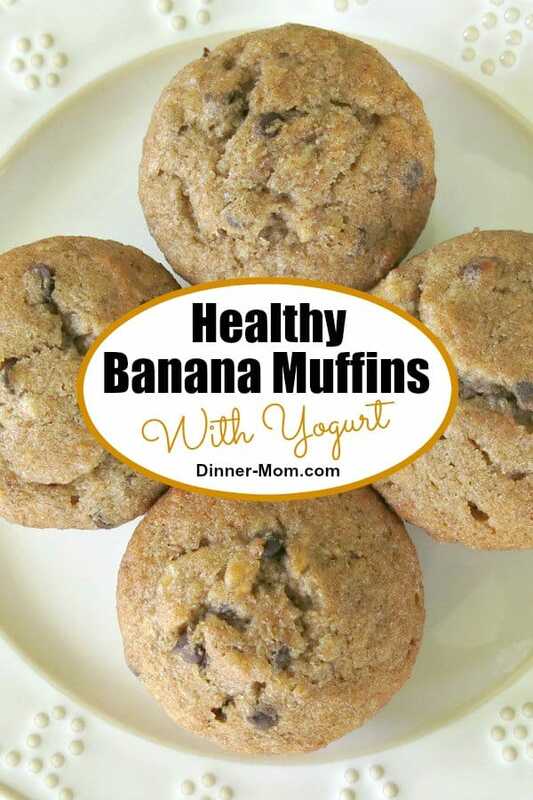 When I’m not making Banana Oatmeal Cookies, I enjoy these healthy banana muffins with Greek yogurt. The riper the bananas, the sweeter the result! Sometimes I freeze bananas that start to go brown for smoothies, or make easy ice cream. But, I’d rather freeze these muffins instead and pull them out for a healthy breakfast or snack. I hate to throw food out! Last week I could just tell that two bananas were going to pass their prime before anyone gobbled them up. So, I made up a batch of dry ingredients, the same base recipe that is used for Zucchini Muffins and Whole Wheat Pumpkin Muffins. Then, I waited…and watched…and eventually…I enjoyed a nice batch of Healthy Banana Muffins. I’ve come up with a master healthy muffin mix that can be adjusted depending upon the occasion. You’ll find whole wheat pastry flour instead of white flour and Greek yogurt instead of oil. Then, we sneak in something special that keeps it healthy and moist. 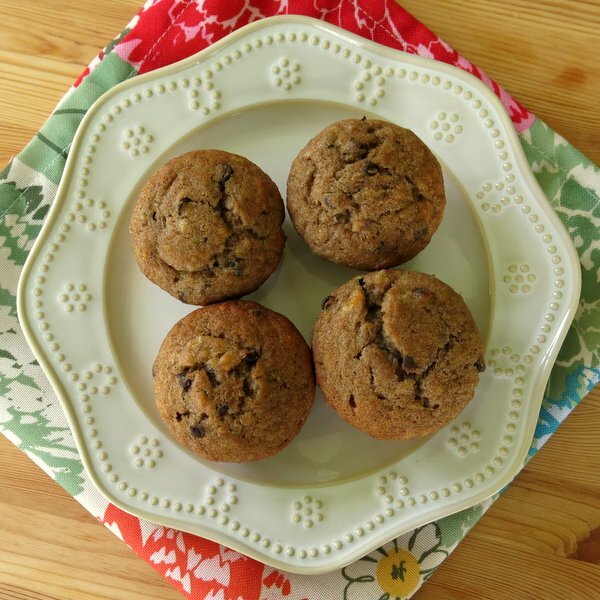 In this recipe, banana is the star and it naturally sweetens the muffin so less sugar is needed too. We often opt for a stevia/sugar blend to keep the sugar content low. Mini chocolate chips, walnuts or both can be added. My crew loves chocolate and it won out the banana muffins pictured. Tip: Liberally spray the muffin tin liners to prevent sticking. Because oil is not used, these are prone to sticking, unless this precaution is taken. These banana muffins are super moist and tasty. 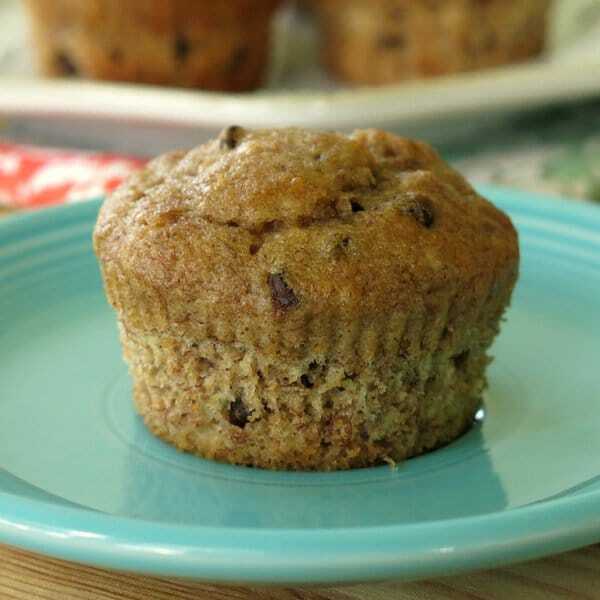 Greek yogurt, whole wheat flour and sweet banana make them healthy too...even if you opt for chocolate chips! Combine flour, sugar, baking powder, baking soda, salt and cinnamon in a bowl. Stir banana, egg and yogurt into the dry mix. Fold in nuts or chocolate chips. These look so YUM! 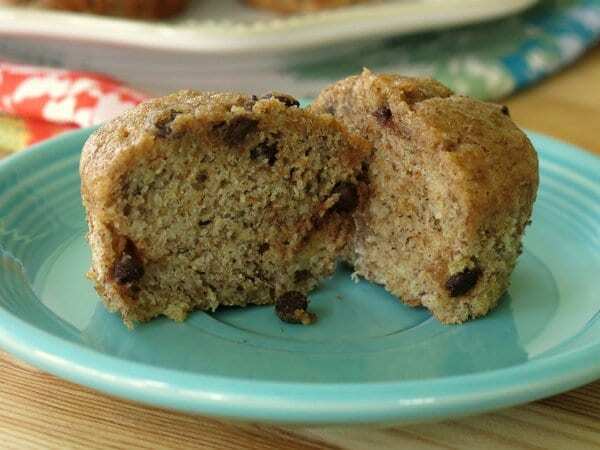 I always have over ripe bananas and look for healthy ways to work them into something tasty. These look so moist and delicious! Thanks and I think I will make chocolate and nuts! I can never get enough banana muffins esp when there are chocolate chips involved. Oh my goodness! YUM! I am SO making a batch of these and pinning this for sure! I love muffins! These look delicious! Those look great, my fav would be with nuts and chocolate chips!! YUM!! I love that you used Greek yogurt and whole wheat flour in these. Delicious! 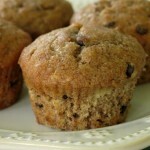 I love putting yogurt in my muffins and other baked goods – they always come out so moist and without all the guilt!! Sounds great, Marjory! They look nice and moist! If I made those I’m not sure guests would get any! Just made these today and also added some frozen blueberries to the mix and they turned out great. The muffins are nice and moist and light. Will be making these again. Awesome! 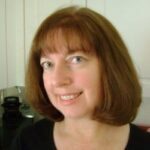 Thank so much for sharing…you made my day! Blueberries are a wonderful addition! 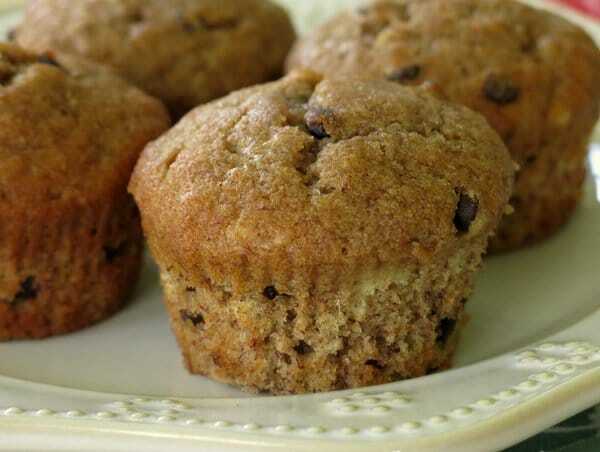 I love banana muffins, especially with chocolate chips! These are perfect! I love muffins, so when I saw this recipe I knew I had to try it, and they were so delicious, thanks for the recipe. Your welcome. So glad you like it! These are awesome! I want to give this recipe to my parents since my dad is on a more restricted diet. Can the salt be omitted entirely or is that detrimental to the recipe? Thanks for your comment! If your dad is accustomed to a low-salt diet, then definitely cut it out or down.